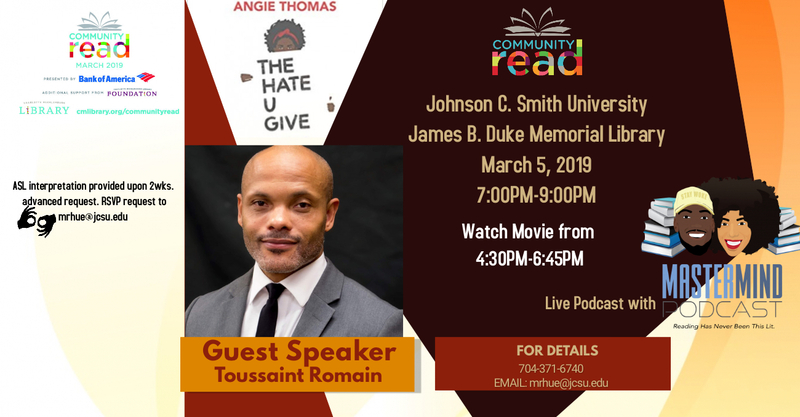 March 5, 2019: Johnson C. Smith University will host a book discussion and viewing of the movie, “The Hate You Give,” with a presentation by Toussaint Romain. The program will end with a Live Podcast with Mastermind Podcast to capture people’s comments and reactions to the book and movie. 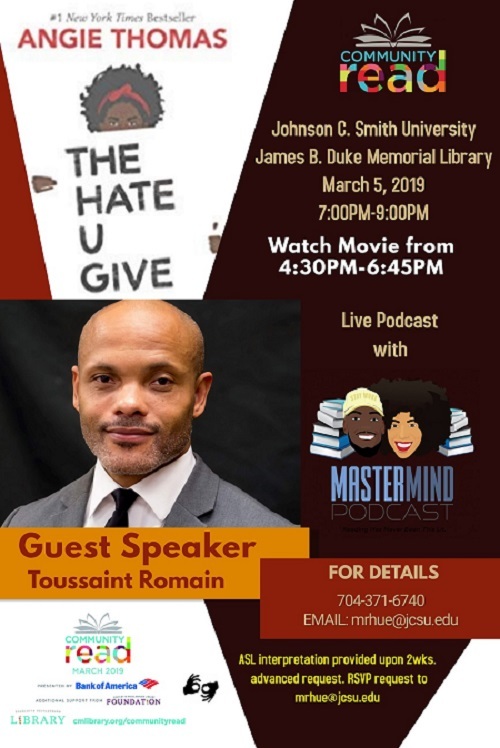 The movie and discussion will be held in the James B. Duke Memorial Library. Live podcast with MasterMind Podcast leading the discussion on audience reaction to the book.